If you want the stunt car, 2006 Subaru WRX from the opening scene from “Baby Driver”, another one goes up for sale. 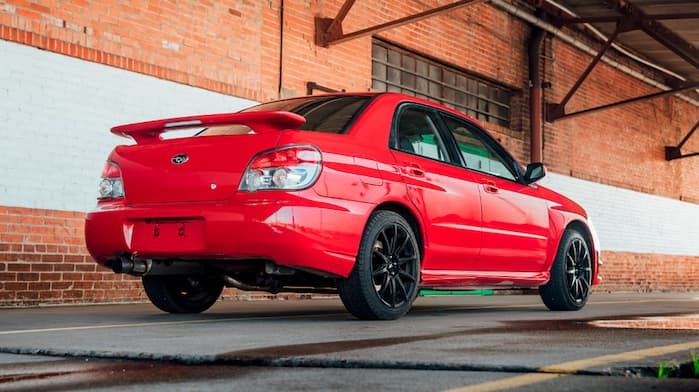 The first WRX sold on eBay Motors for $69,100. Then Ansel Elgort, the star of the film, wanted the 2006 Subaru WRX STI from “Baby Driver” so bad, they finally gave it to him after six months. Other Subaru WRXs were used to make the film, one was a modified WRX with over 320hp and other powertrain upgrades, another was an automatic transmission model with a camera on top, and another was a WRX converted to RWD. 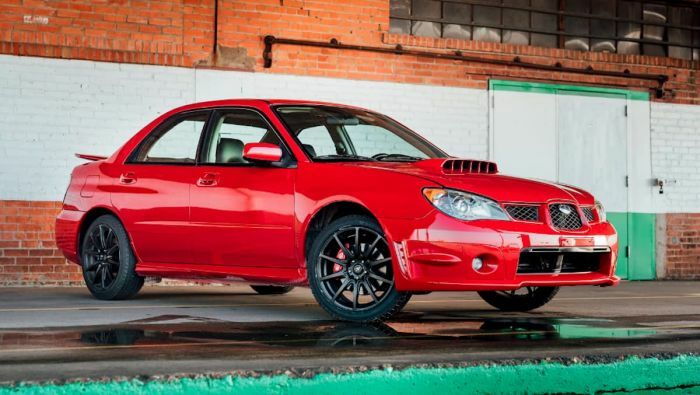 The 320hp 2006 Red Subaru WRX from the opening scene is now on the auction block at Mecum Auctions for you to buy. The WRX (Lot S174) will be at the Mecum sale going on in Houston, Texas April 5-7 and there is no reserve. The WRX was fitted with a 2.5-liter WRX STI engine and performance was pumped up with forged CP pistons, an Exedy Stage 1 clutch, OS Giken front differential and Cusco rear limited-slip differential, and a CNC hydraulic handbrake performed by Allpro Subaru in Alpharetta, Georgia. The 2006 Subaru WRX stunt car is street-legal, and also comes with stunt driver interviews, matched screenshots, the build sheet, WRX STI gauge cluster and functional STI accessories, and over $20,000 in receipts to convert for movie use. So if you ever wanted a car from a movie, nows your chance to own the 2006 Subaru WRX from the opening scene of the 2017 hit film “Baby Driver”. From the pictures, it looks like it’s in pristine shape and could be a real show-stopper at the Subaru meets this summer. Check out the WRX Mecum Auction page, or you can watch the Auction April 5-7 on NBCSN.